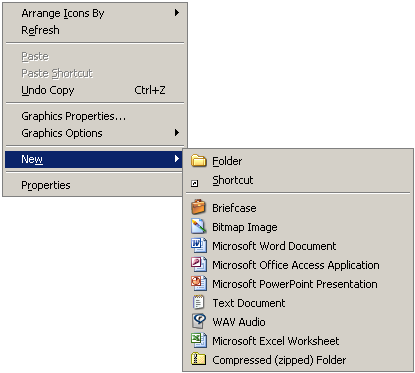 Annoyed by how long it takes for the Windows File > New menu to appear? Here's how to remove items so the menu appears more quickly. Search the Registry for every entry of "ShellNew"
Every ShellNew that is found will be a branch of a particular file type. 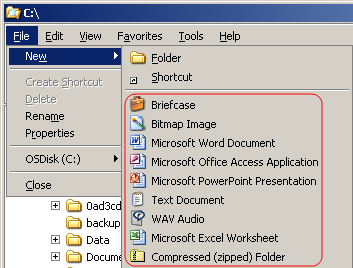 If that file type is not wanted in the New menu, delete the entire ShellNew branch. BE SURE TO KEEP ZIP FILES.